Matt Young's long form biography. Matt Young is an American-born, Australian stage and screen actor who splits his time between Sydney, LA and Suva, Fiji. 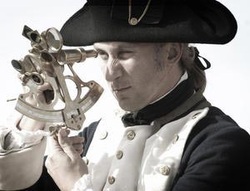 Matt is best known for his television appearance as famed navigator James Cook in the multiple award winning CAPTAIN COOK: OBSESSION AND DISCOVERY for Australia's ABC, which has been broadcast through partner stations around the globe. A former Broadway dancer, Matt toured the US, Canada, and Europe in musicals including ON THE TOWN, A CHORUS LINE, and WEST SIDE STORY. He was in the original Australian cast of THE PRODUCERS, and most recently toured with ANNIE, starring Anthony Warlow. As an Australian theatre actor, highlights include playing Jack Cole in GOODBYE MISS MONROE, Jeffrey Skilling in ENRON, and Joseph in Campian Decent's THREE WINTERS GREEN. Other tv credits include the Hallmark Channel's A SUMMER TO REMEMBER and PEARL IN PARADISE, HBO's THE PACIFIC, Australia's COMEDY, INC. Short films include Weiyang Li's XYXY and Ivy Mak's MERMAID IN THE CITY. Online and on demand, he can be seen in TBS's WRECKED, Season 2, Episode 7 and Neflix's GAYBY BABY. Matt is a private acting coach in Suva, Fiji, through his company MYC, and founded Tukuna Acting Club at the Fiji Arts Club. He also coaches actors in American accent/acting style, as well as serving as a speaker coach for TEDxSuva. In June 2019, Matt will make his debut as a film choreographer with Mitch Davis's faith-based film THE OTHER SIDE OF HEAVEN 2: FIRE OF FAITH, in which he also has a small role.